The reassemable is designed for building a simplified representation of a short segment of double-standard DNA. All piece are plastic and identified by different colors. 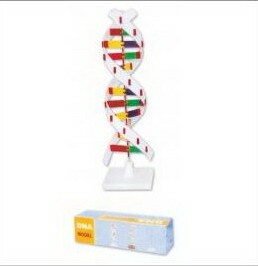 Completed model is in the shape of double helix about 685mm high.